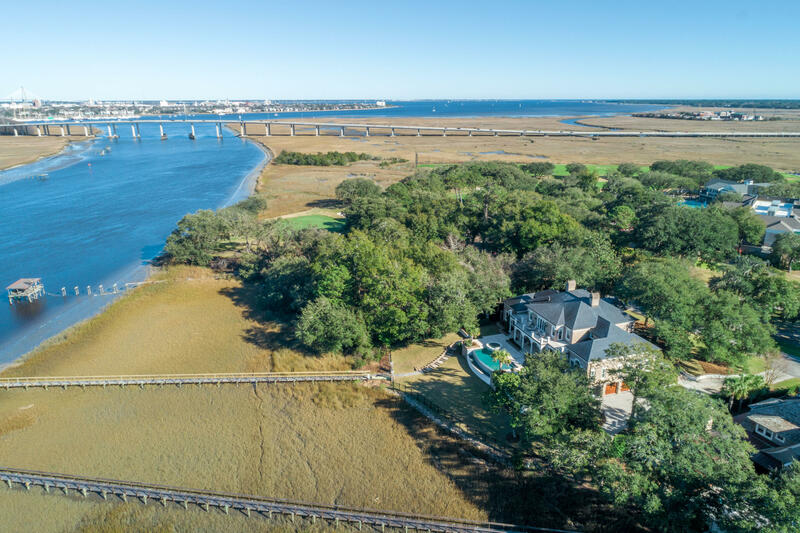 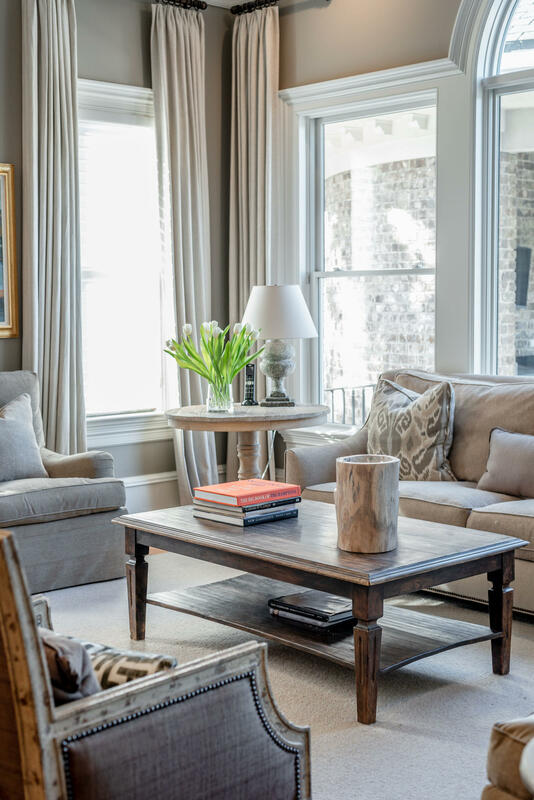 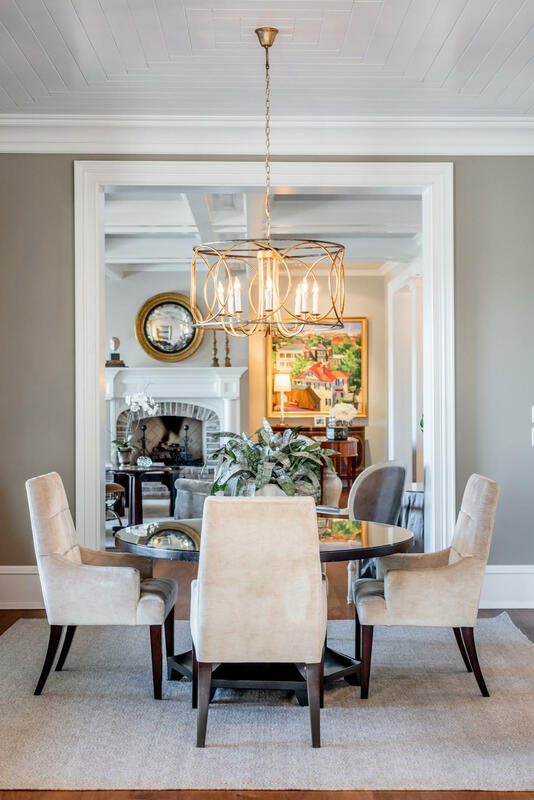 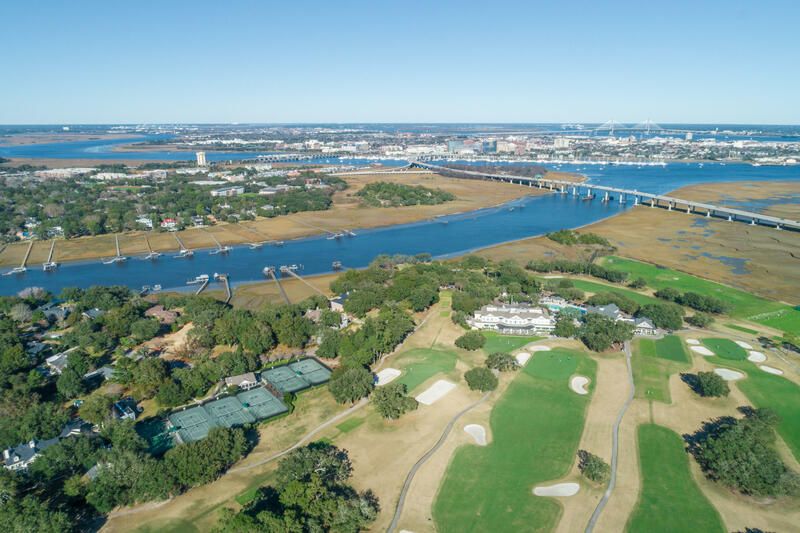 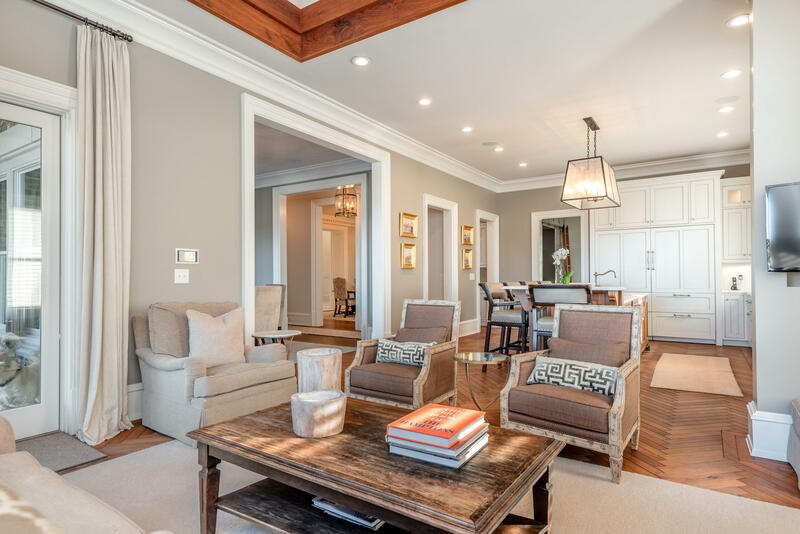 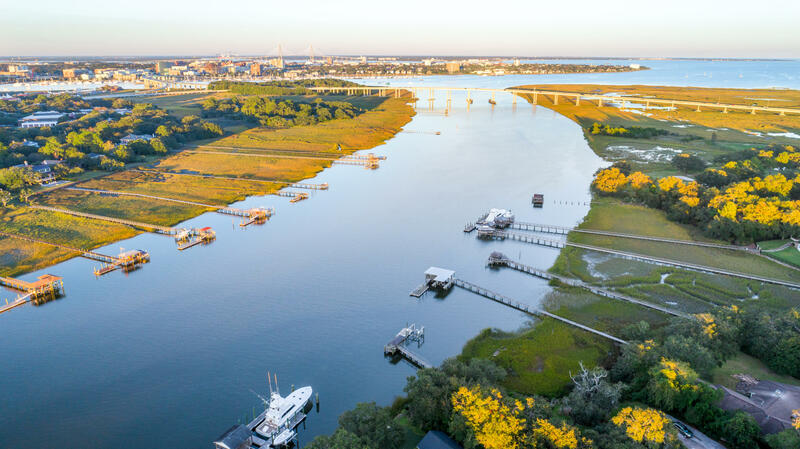 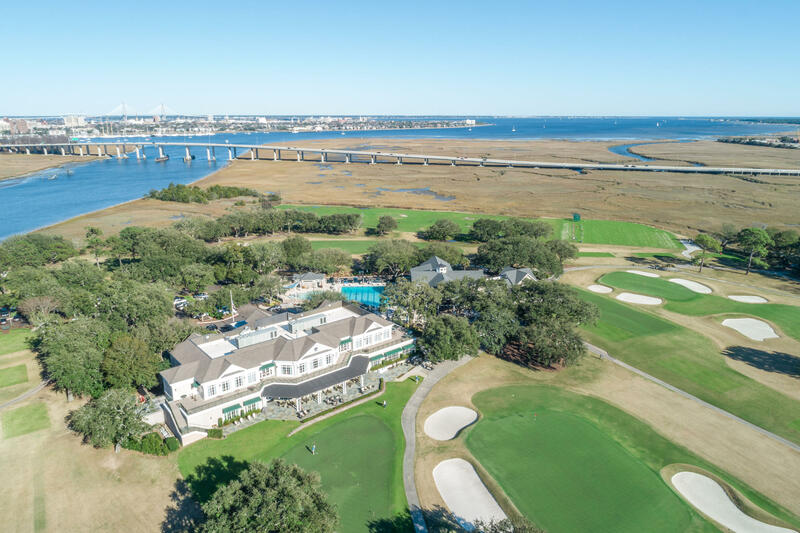 Welcome to Charleston at ''It's Finest'', located in the prestigious Country Club of Charleston.This stunning, custom-built home is only 3 miles by car and just 3 minutes by boat to downtown Charleston. 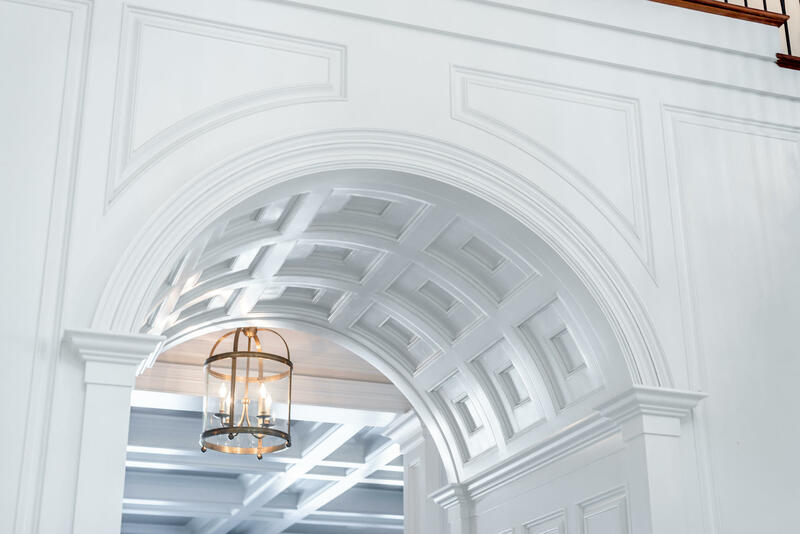 A 7,200 sq ft estate, inspired by Neo Classical architecture, displays a wealth of impressive craftsmanship that will truly stand the test of time. 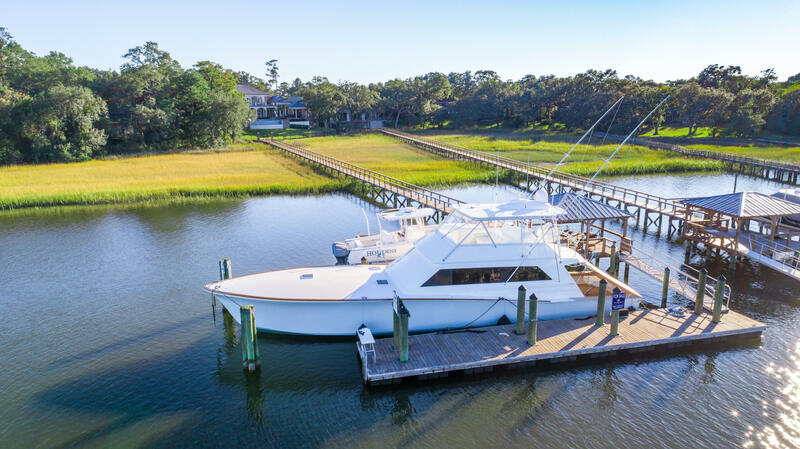 This magnificent property rests on a natural bluff that opens to your private, true deepwater dock that can house your dream yacht up to 90' long, perfect for a full range of fun on the water. 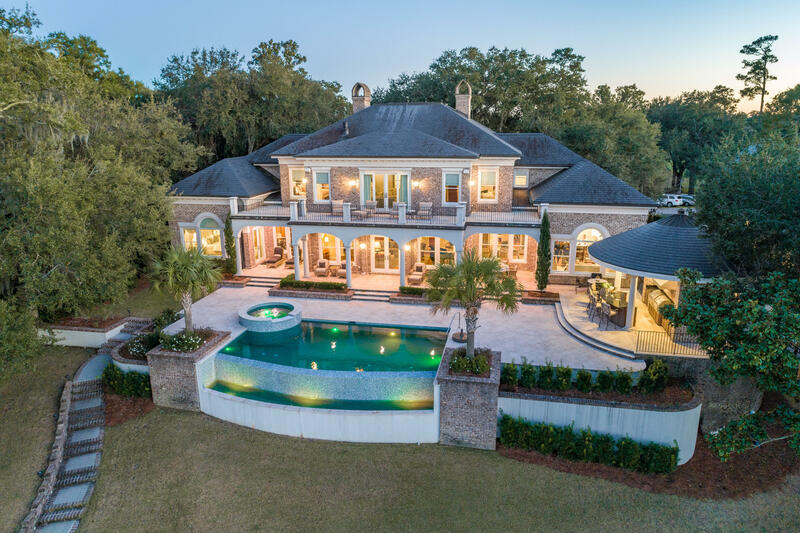 Plus residing on an X flood zone property! 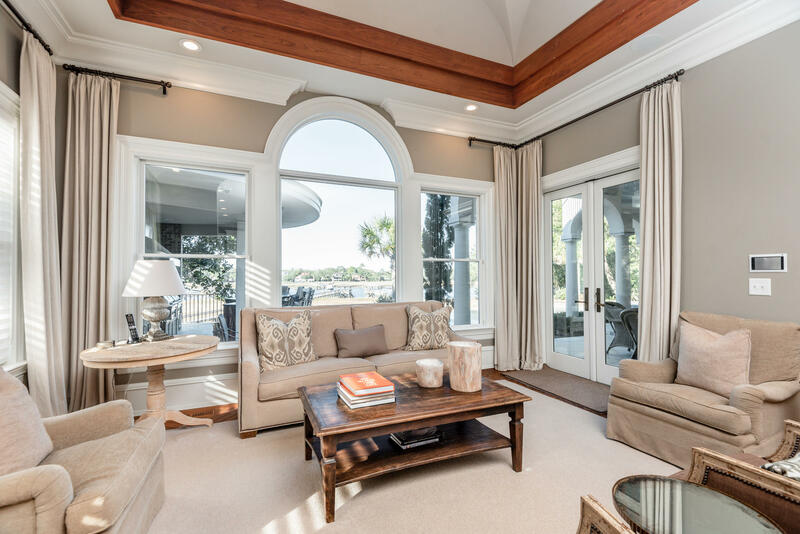 A grand loggia spans the residence's waterfront facade with columns and Turkish travertine. 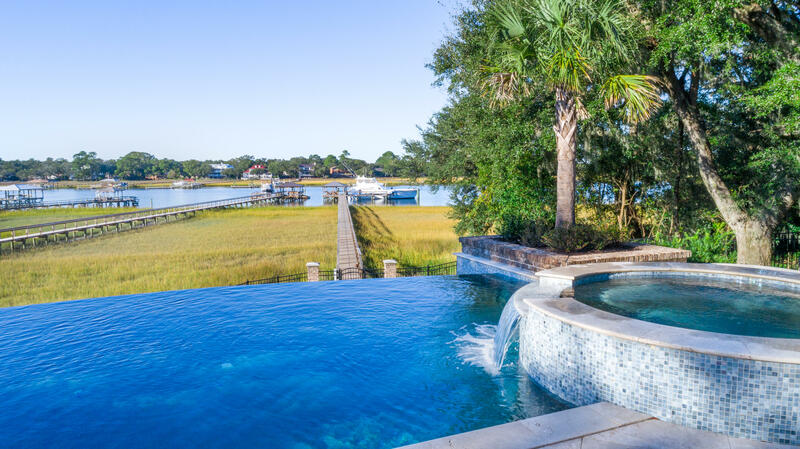 Cool off in the salt water infinity edge pool or warm up in the Jacuzzi and enjoy the resort lifestyle year round. 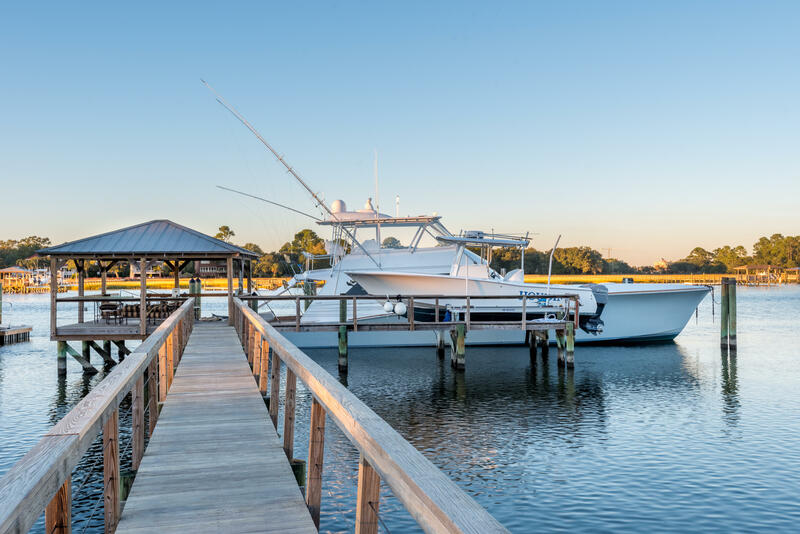 A gazebo, with a beautiful full radius slate roof, features an outdoor kitchen with two Lynx grills, a stainless steel fridge and a full bath. 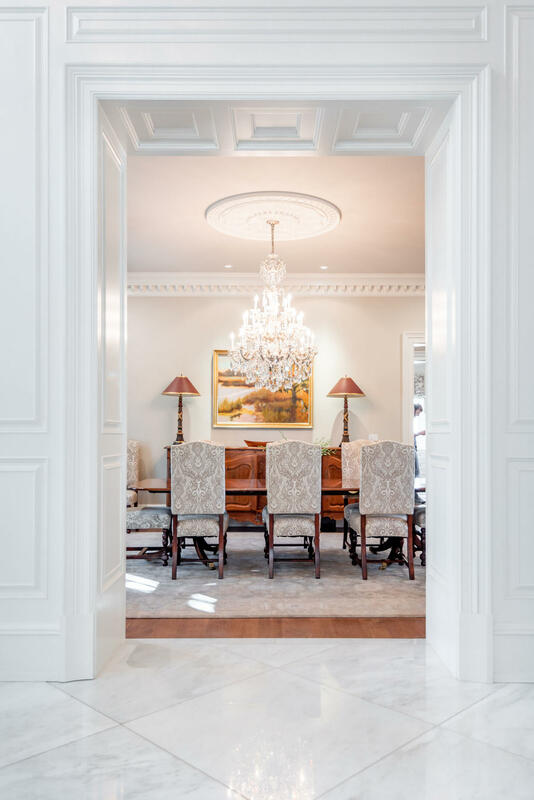 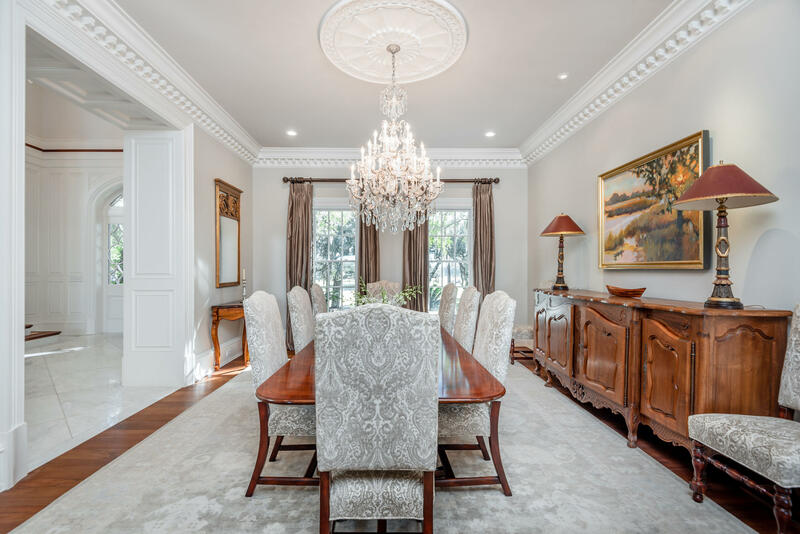 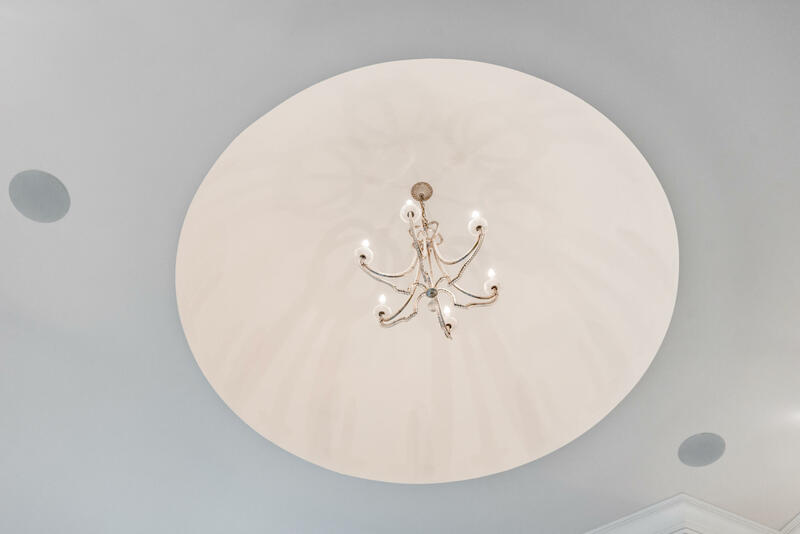 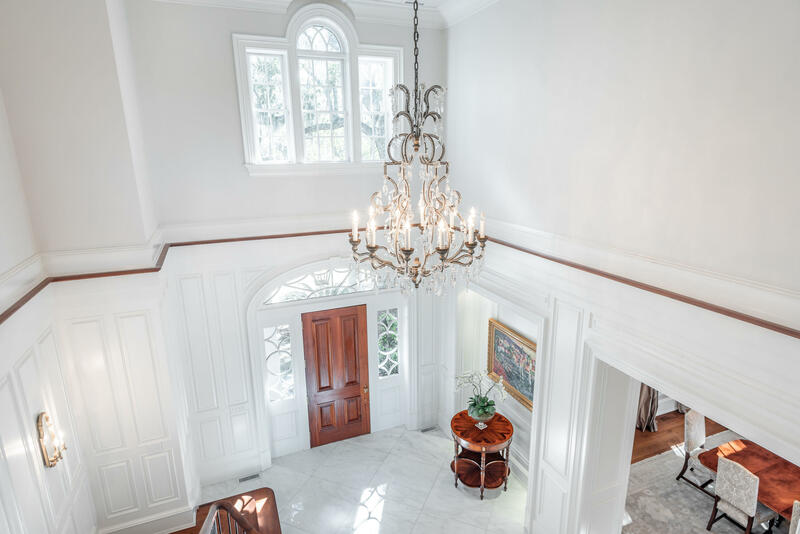 A custom mahogany front door invites you into the grand foyer which features 25' ceilings and a custom Italian chandelier (that can be electronically lowered with a key) showcased below the towering rotunda domed ceiling. 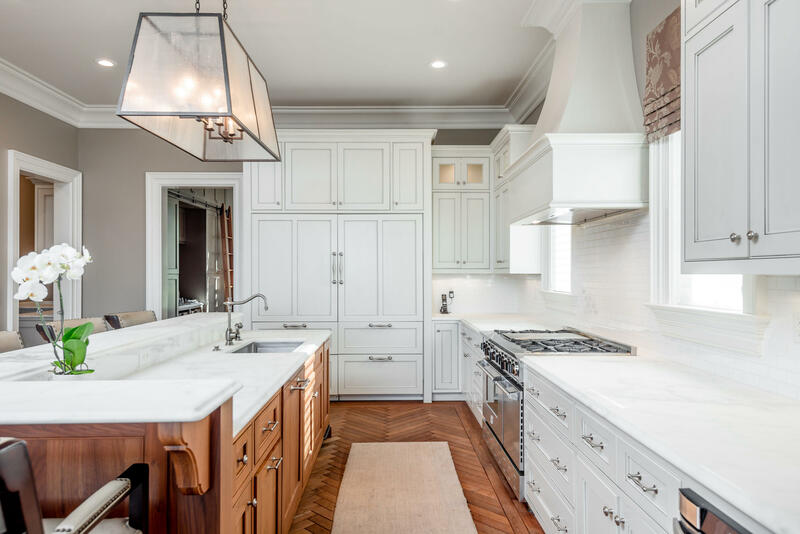 Elegant chef's kitchen is appointed with top-of-the-line finishes including Sub-Zero and Bosch appliances along with handcrafted herringbone black walnut floors. 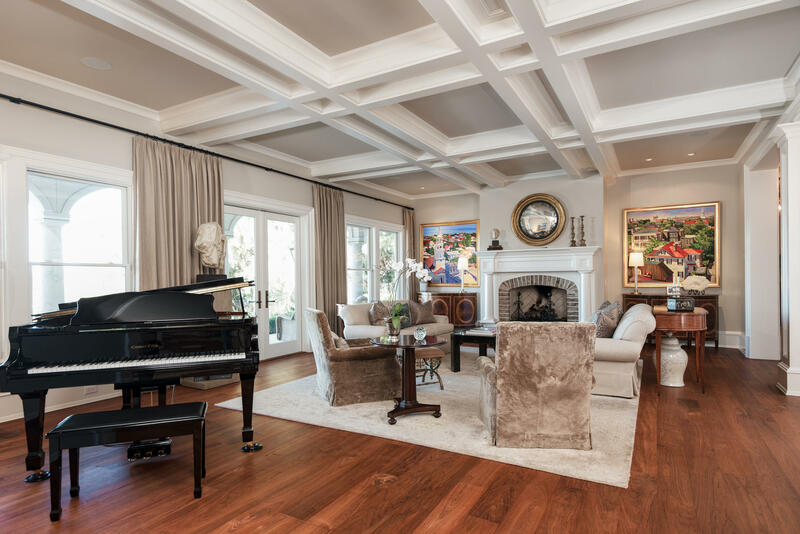 A sitting room overlooking the pool and waterway provides another intimate space to gather and features a groin ceiling, as often seen in European churches. 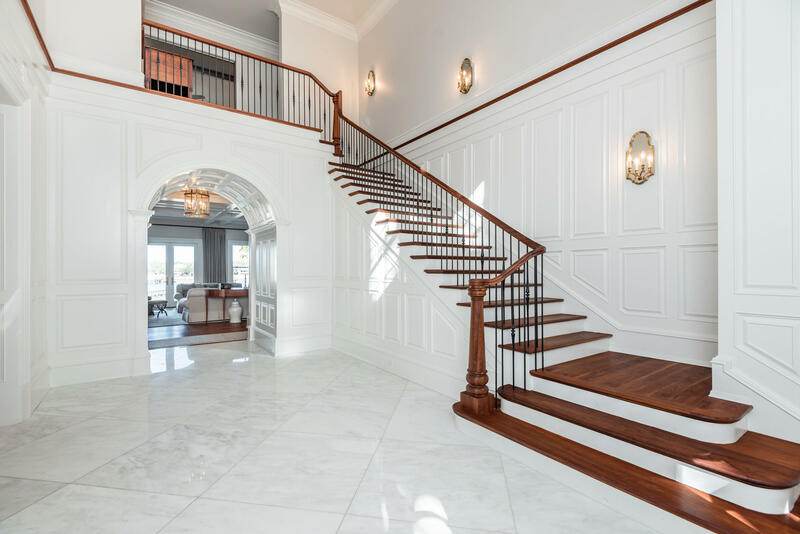 The extensive main hallway, perfectly aligned with five handsome chandeliers, runs the entire length of the first floor, leads to the East wing of the home where you will discover the luxurious master suite overlooking the water, along with a barrel and beam ceiling. 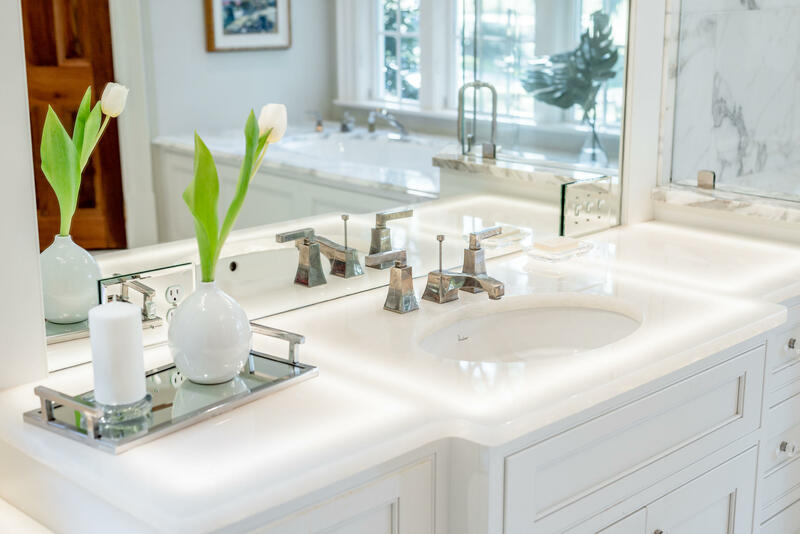 Pamper yourself in the spa like master bath with heated Mother of Pearl mosaic floors and stunning glass lit vanities all set beneath a dramatic dome ceiling. 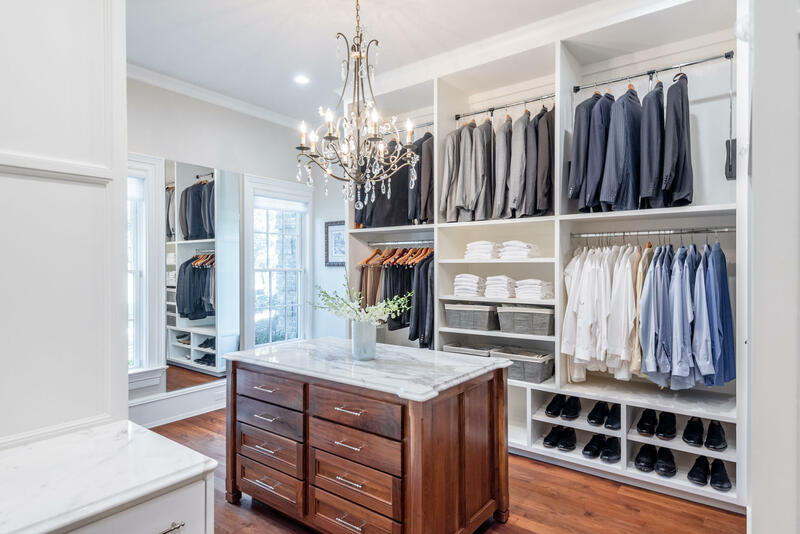 With a closet fit for the most discriminating fashionista, this space loaded with custom cabinetry will elegantly host the finest wardrobe. 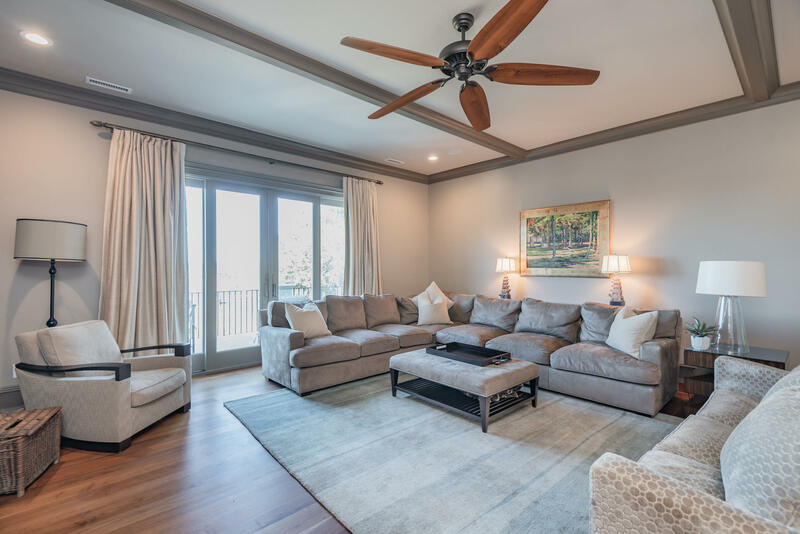 Upstairs, you will find four guest suites and a media room that opens to a travertine deck terrace overlooks the water. 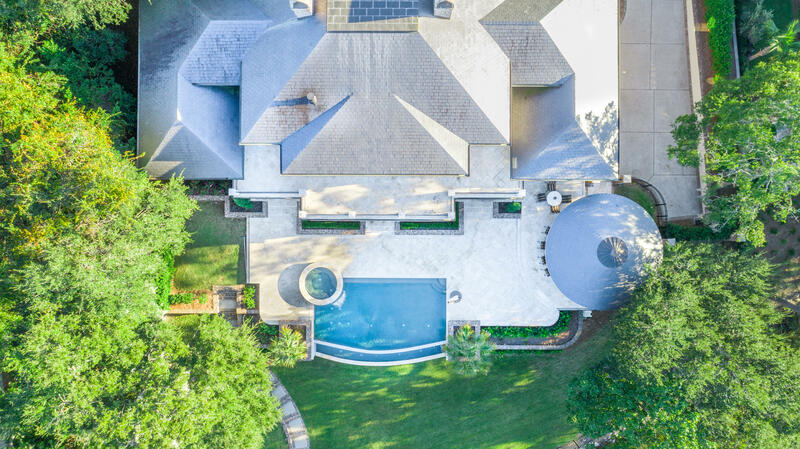 For the car enthusiast, the spacious 3 door/7 car garage is a pristine setting to house your prized toys, along with a half bath, plenty of storage and large heated/cooled office and exercise room. 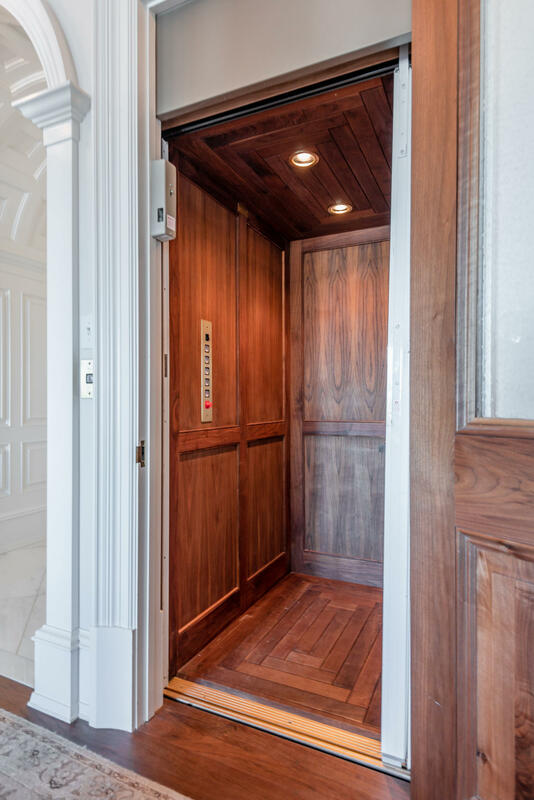 Other features to note include black walnut floors throughout, tongue and groove doors, a custom elevator servicing all floors, smart-home set up, four zone geo-thermal HVAC system, copper gutters, and black slate roof imported. 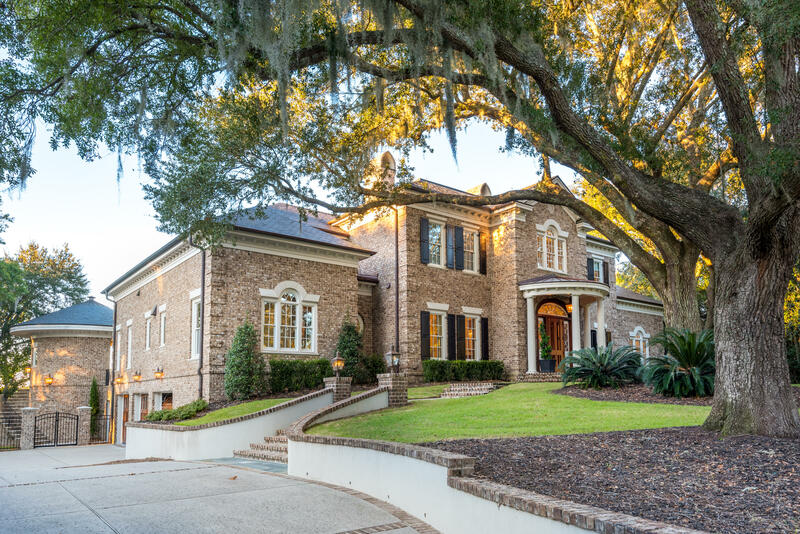 This home has too many extraordinary features to list so please view the video and documents. 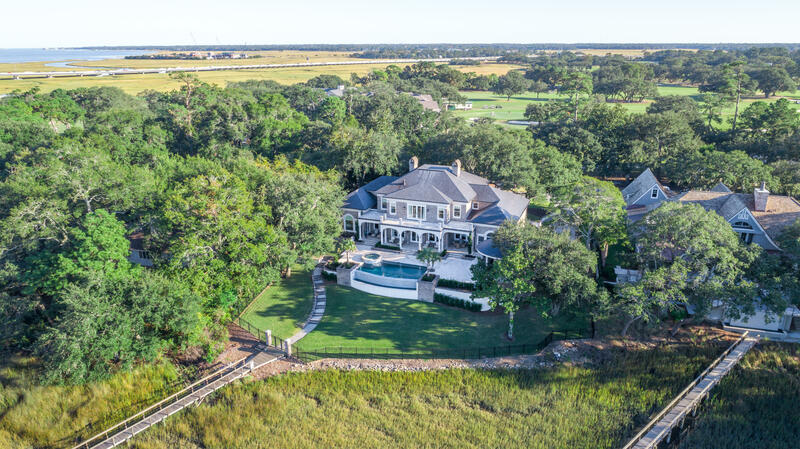 Please note that the Zestimate is inaccurate and does not reflect recent ICW property/land sales nor custom builds. 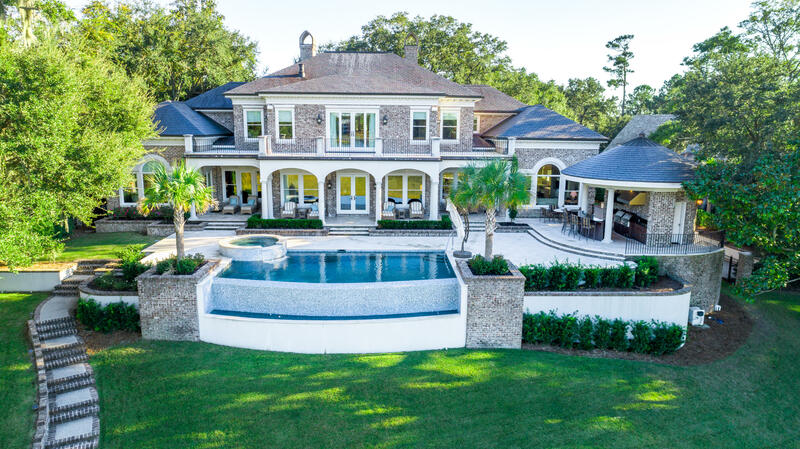 Last 2 comparable lot sales were $3M+.